Disclosure: I received this product for free to review. The opinions in my review are honest & my own. Do you ever come home at night and wish and wish you were coming home to a perfectly lit house? Or that you had a way to monitor movement in your home when you weren’t there? For many of us that watch sci-fi movies, things like this have been in movies for quite some time. I personally would love to walk into a dark house after a vacation and walk in to a brightly lit, welcoming house. To my surprise, D-Link has recently come up with a full line of wireless products to make monitoring and managing your home even easier with their mydlink line of products. 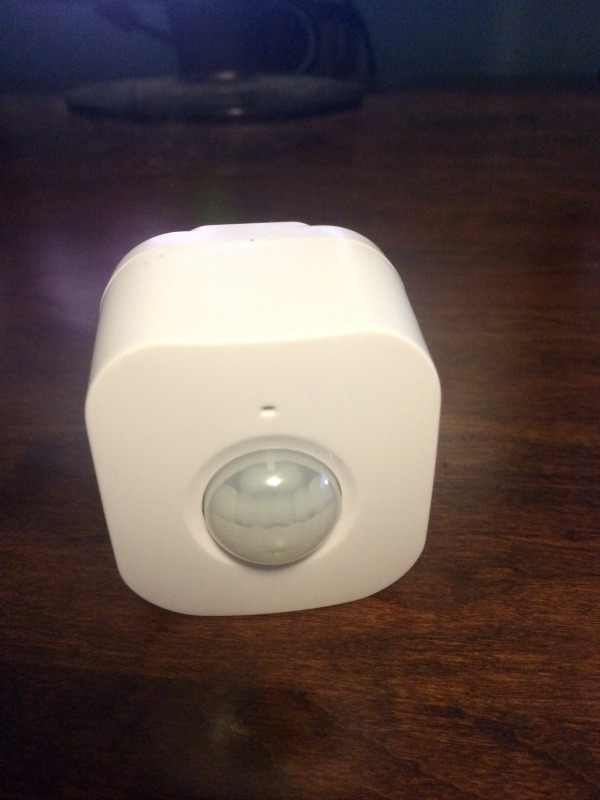 Luckily, I had a chance to review one of the coolest products in their line – the D-Link Wi-Fi Motion Sensor! D-Link Wi-Fi Motion Sensor: What is It? Looking for an easy way to know when things are moving in your home? If so, we think you will love the D-Link Wi-Fi Motion Sensor. This innovative product allows you to easily respond to movement in your home. Once movement is detected, it will send a push notification to your home, allowing you to easily check in through a compatible wi-fi camera. As well, you can also use the d-link smart plug with the motion sensor to have lights turn on the moment someone enters the front door, allowing your house to come to life the moment you return. Best of all, it is easy to set up, as long as you have a wi-fi router in your home! To learn more about the D-Link Wi-Fi Motion Sensor, make sure to watch the short video below! Personally, I think this is a pretty cool product. It is amazing how we can use this product to either control the lights in our home or detect movement in our house. We have even used to make sure a certain someone (Reya) isn’t sneaking into part of the house where she isn’t allowed. Since she has a bad habit of getting on counters to steal food, this has been a major win for us, especially since she knows how to open some of the baby gates we have in the house. Best of all, the next time we are traveling I know I can set it up with our camera to monitor our home, allowing us to rest easy while we are having fun, knowing that our house is okay. With an easy setup and a variety of options, this motion sensor makes managing your home so much easier! 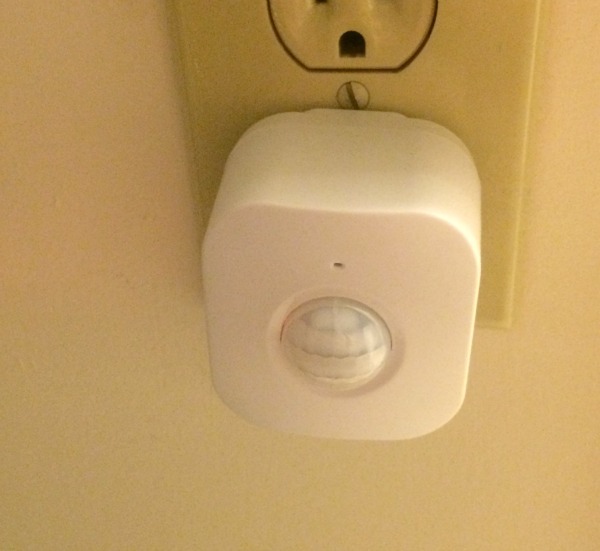 Based on our own experience, I am happy to give the D-Link Wi-Fi Motion Sensor an A rating. 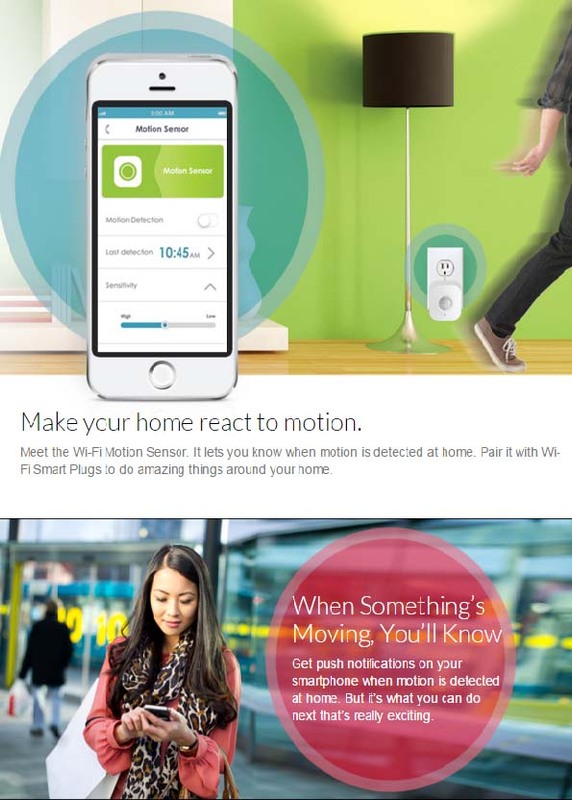 D-Link Wi-Fi Motion Sensor: Where to Purchase? Want to purchase this awesome product for your own home? You can buy the D-Link Wi-Fi Motion Sensor on the D-Link website for only $39.99 or on Amazon.com for $38.99. Want to learn more? Check out D-Link on Social Media here! I would like to try to get one of these to make it much safer. I love your review, and this makes it easier to make a decision. Love this!! So important!! the world is a scary place and you really can never be too careful!! I love that you can use it to control the lights too!! I’d like this to use on the back deck. I hate fumbling for keys in the dark. Especially if my hands are full. That, and the obvious safety reason. It’s priced very reasonably too.